I was a bit surprised to fine a box full of Avocados on my recent provison supplies. I’m sure that I didn’t ordered it for I believe that it is not available this time of the year here in Sweden. But, I just love they did supply it. It is one of my favorite dessert. Yes, you heard it right! 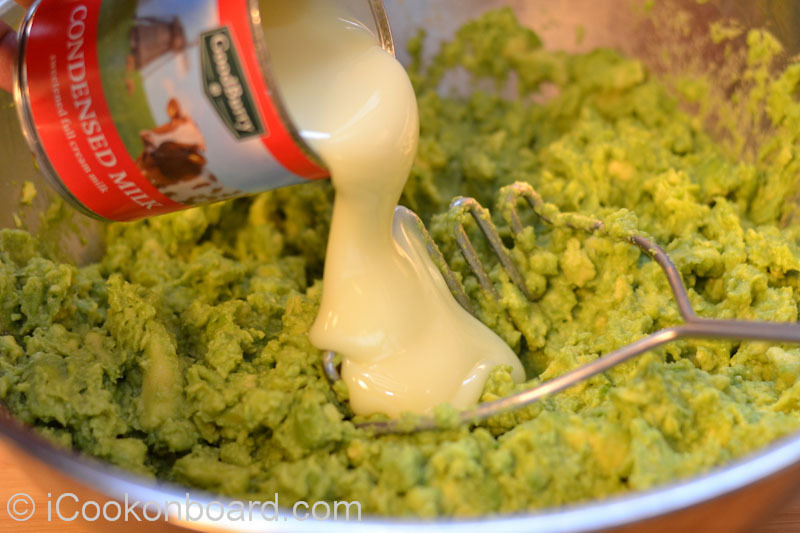 We Pinoys love to eat ice-cold sweet and creamy mashed avocados. In fact, I only discover that avocado are great to have on green salad after I sail and work with European crew onboard. And on one of my previous cargo vessel which is liner on Rio Haina, Dominican Republic, I saw stevedores enjoying a ripe avocado as a main course for their lunch. 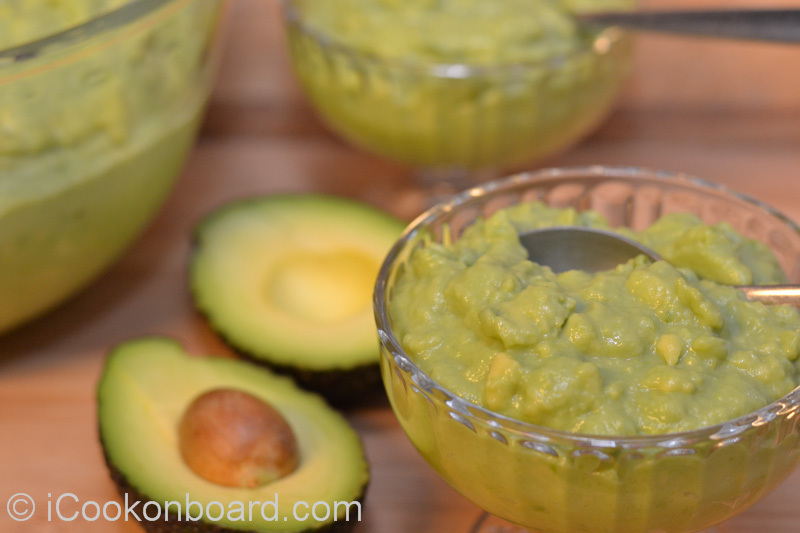 They just add a dash of salt on avocado and eat it with rice. So, from Guacamole of the Aztecs, Main Course of the Dominican and Desserts of the Pinoys, Avocados are well loved around the world. Be sure to use a ripe avocado for this dessert. 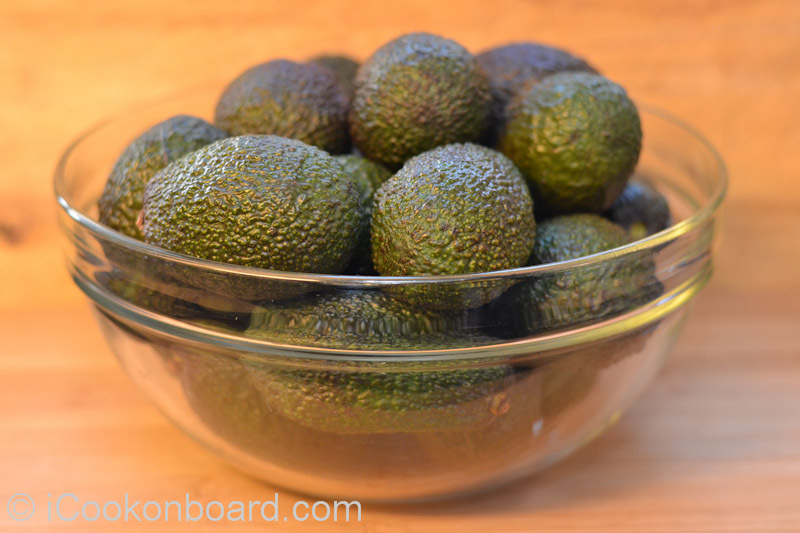 Hard avocado are usually pick from the tree, you can soften it at room temperature for few days. Wash the avocados before cutting it. Lay it lenghtwise on a chopping board. Cut into half. Rotating around the seed. 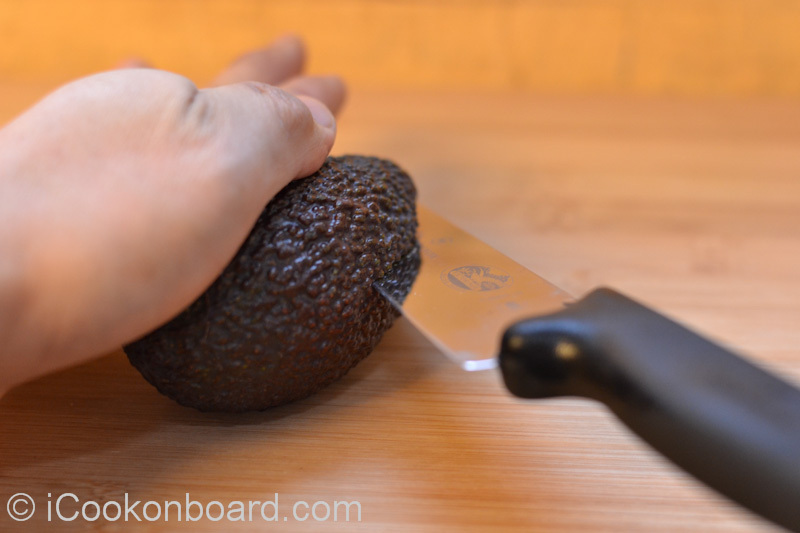 Hold the cut avocado in your palm and twist the top half to separate. Give a good chop at the center of the pit/seed with a sharp knife, twist the knife to remove the pit/seed. 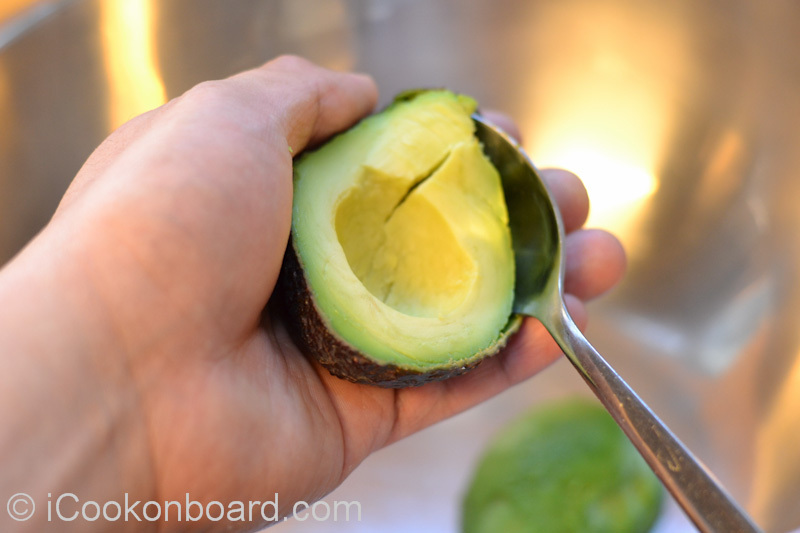 The inner yellow-green flesh of an avocado can easily be remove by squeezing the peel/skin when it is nicely ripen. You can also use a spoon to scrape out the flesh from the peel. Transfer it on a mixing bowl. Use a good potato masher when making this on large quantity. 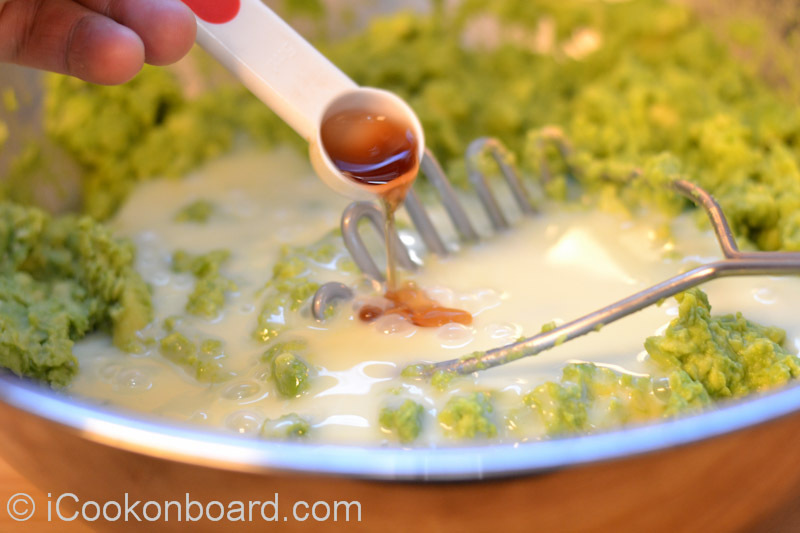 Add the sweet condensed milk and vanilla essence. Mix until well blended, add sugar if you want a sweeter blend. Transfer on serving dish/bowl and cover. 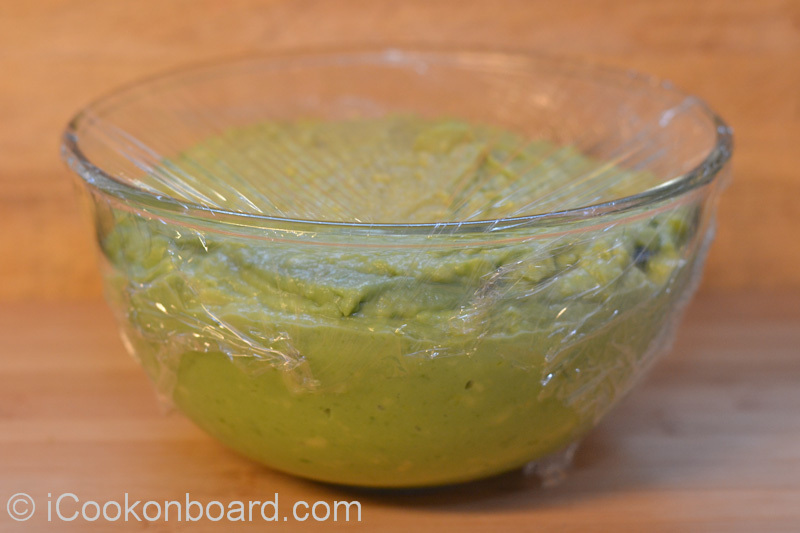 Keep inside the freezer for an hour or until chilled. 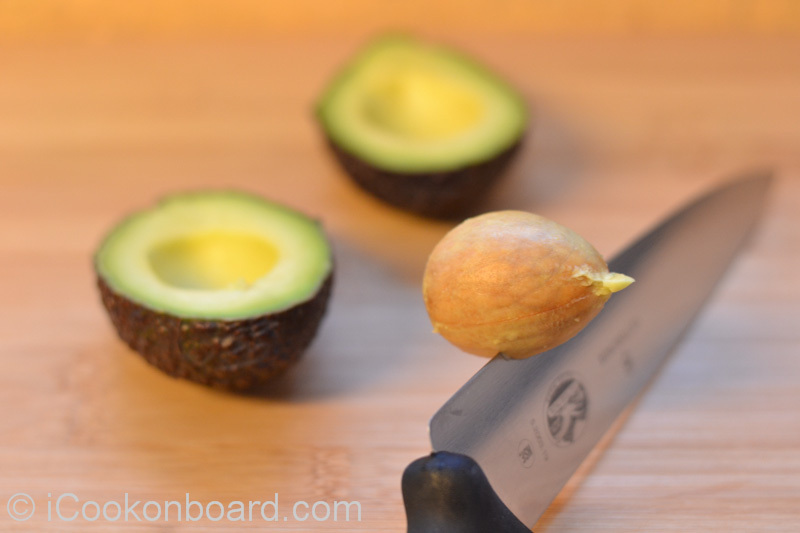 A quick price info for my fellow CooksOnboard: Each Avocado (150grms.) = 13 SEK (Swedish Krones) or $2 USD. Approx. $14 USD/Kilo of Avocado. 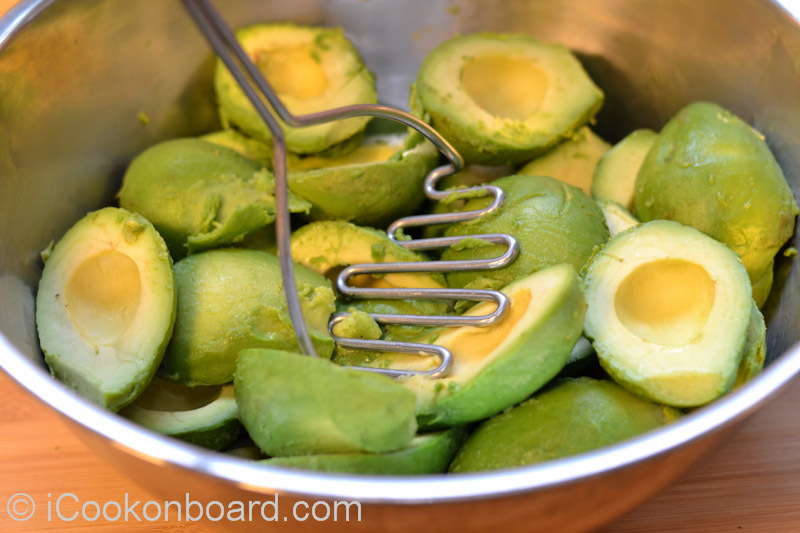 Hard avocado are usually pick from the tree, you can soften it at room temperature for few days. 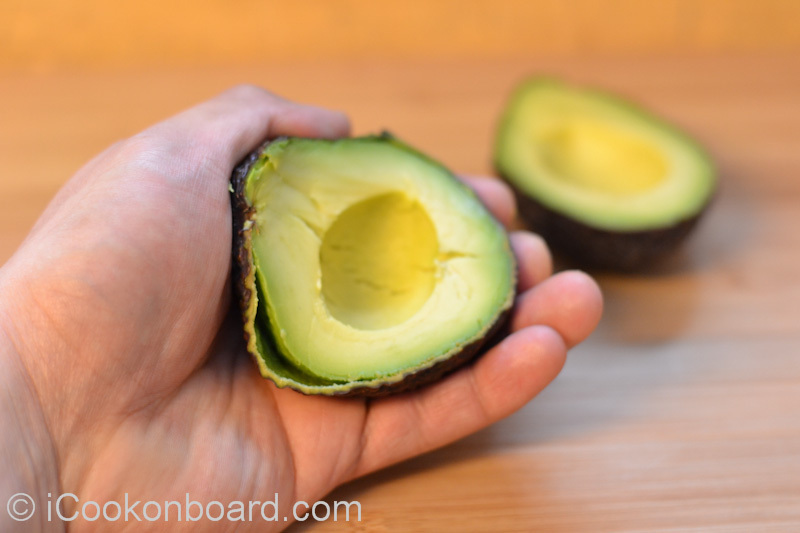 *DO NOT KEEP HARD AVOCADOS INSIDE THE FRIDGE, THEY WILL NOT GET SOFT. 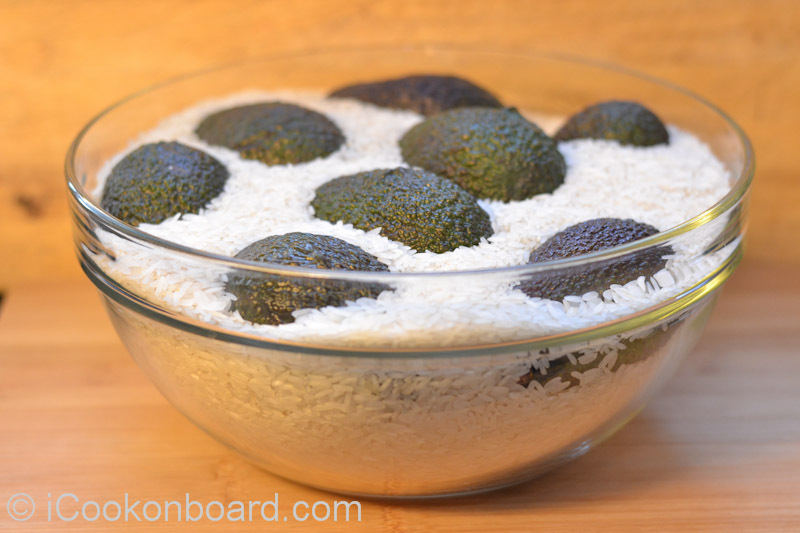 Keeping it in your uncooked rice container will make it ripe more faster. 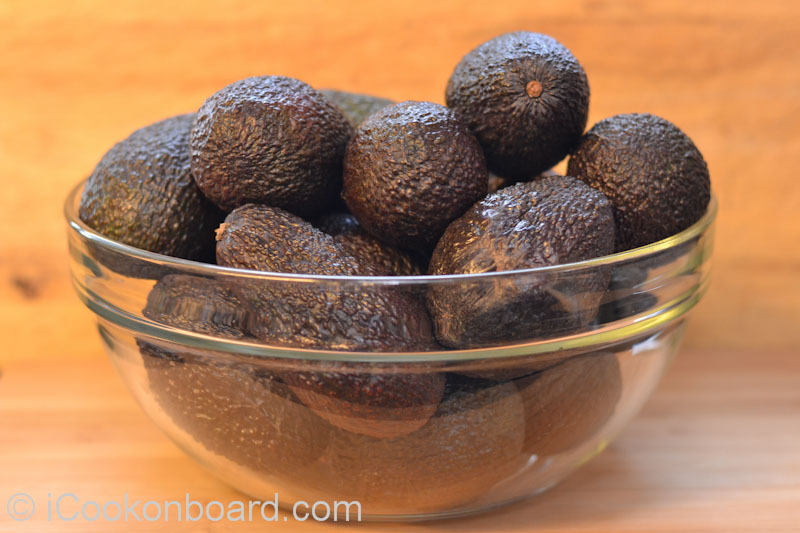 Ripe avocados will turn from green to dark brown. You can feel the soft flesh when you gently press it. Wash the avocados before cutting it. Lay it lenghtwise on a chopping board. Cut into half. Rotating around the seed. 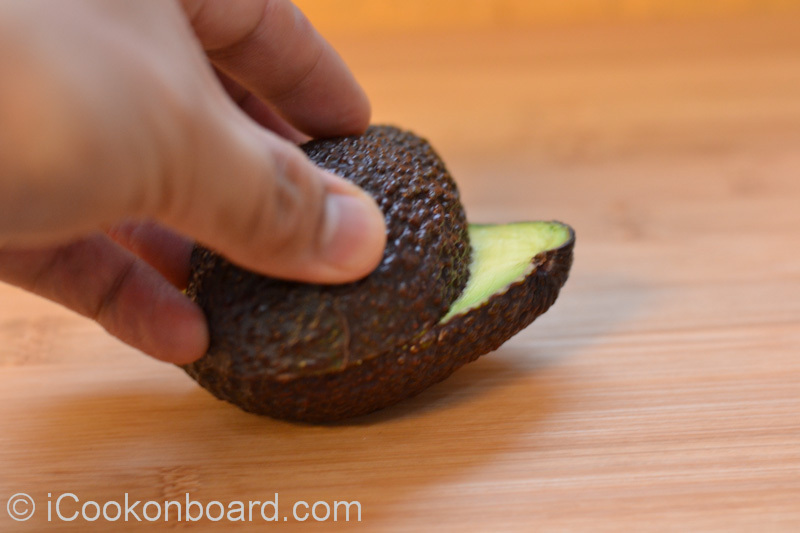 Hold the cut avocado in your palm and twist the top half to separate. Give a good chop at the center of the pit/seed with a sharp knife, twist the knife to remove the pit/seed. 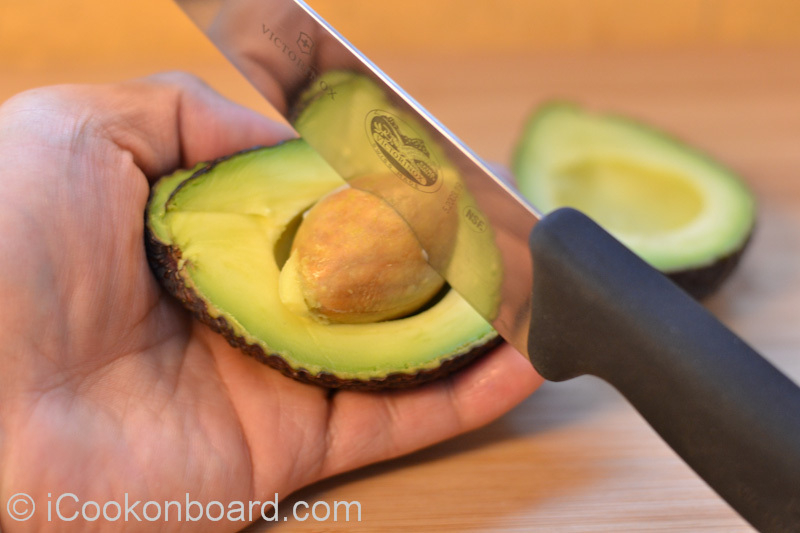 The inner yellow-green flesh of an avocado can easily be remove by squeezing the peel/skin when it is nicely ripen. You can also use a spoon to scrape out the flesh from the peel. Transfer it on a mixing bowl. Use a good potato masher when making this on large quantity. Mix until well blended, add sugar if you want a sweeter blend. Transfer on serving dish/bowl and cover. 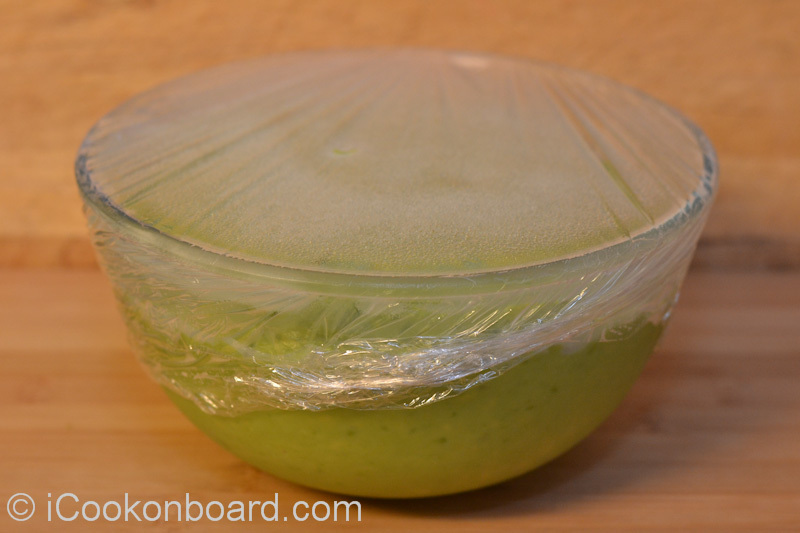 Keep inside the freezer for an hour or until chilled. 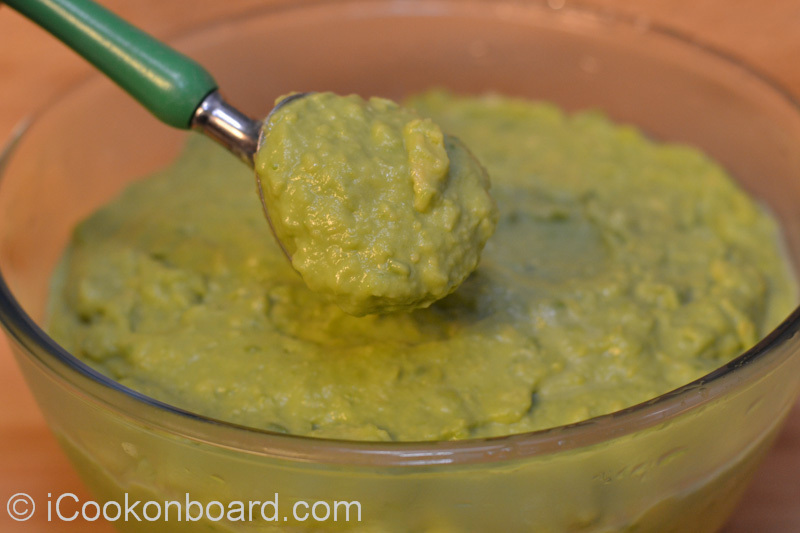 encourage you to try this simple Avocado treat. Love the rice trick! I wouldn’t have known. My dad used to make this for me when I was a kid… I’d eat it today still if I wasn’t watching my sugar intake. Super sarap. Happy Holidays. Will you be joining your family in Manila? Thanks for reminding it, I still need to buy a gift for our exchange gift. Happy Holidays to you too, Diahaan! 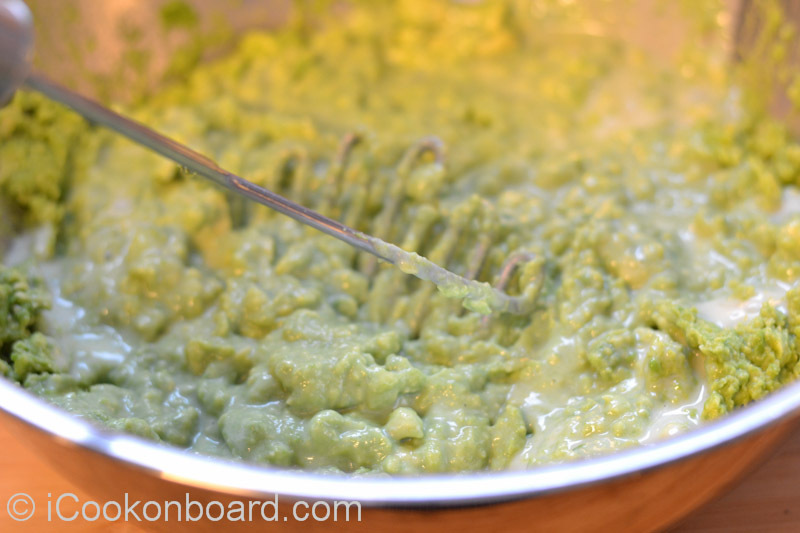 Love avo and they are available almost all year round here.Recently made an avocado mousse and it was delicious.Can imagine it is good as a pudding too.